I.T. stands for Indeed Thankful, and as we are now only two days away from our 3rd blogiversary, we wanted to take time to thank the people who have helped The Romantic Vineyard become what it is today. If you are tagged below, all we ask it that you dedicate a post (or a Facebook status update, or Tweet) to those in your life for whom you are Indeed Thankful, and link back to us so we can see who you’re thankful for. Let’s cause thanksgiving to mount up as a wave of blessing on those who have helped us and may not even realize the contribution they’ve made in our lives. 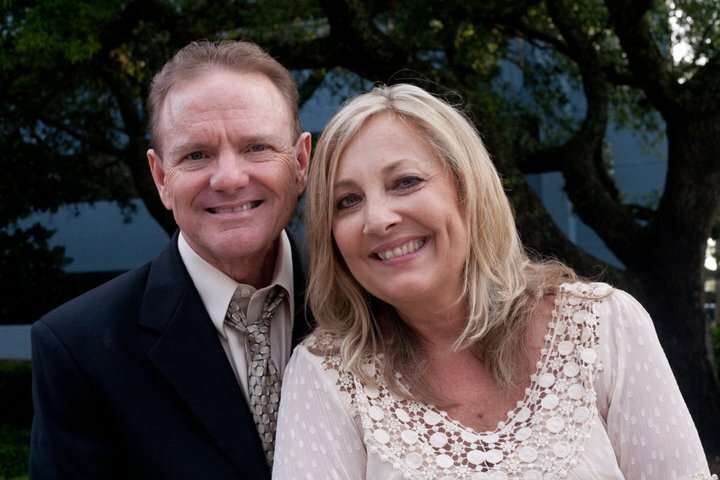 Danny and Melodye Jones – Danny has been our pastor since we were first married. He and Mel are now our dear friends. Their encouragement, teaching of Biblical Truth on marriage, the example from their own relationship, and their infectious faith in what God wanted to do through us has pushed us forward in faith. Not a faith in faith, but a faith in God. Thank you for the rich deposit you’ve made in our lives. You are both dearly loved! Benny and Sheree Phillips – We didn’t have a clue what a blog was until Sheree approached Debi about writing for a mom’s blog for our church. That was in 2007. Which was shortly after Benny approached Tom about getting involved with marriage counseling in our church. I (Debi) was shocked, afraid of the responsibility, and unsure. Tom simply said, “We would love to serve in this way!” Again, I couldn’t believe my slow-to-make-a-decision-for-wisdom’s-sake husband said YES and so fast! I was really afraid. Over the next couple of years we attended Nouthetic Counseling training and learned so much, and discovered how much more we needed to learn. It was a huge growing season in our marriage. Benny and Sheree, you have not only been our pastor for 11 years, but you have had faith for us when we didn’t see it ourselves. God has used you in more ways than we can count. But there is a day coming when it will all be revealed, and we hope to witness God’s commendation on your lives. Our marriage wouldn’t be what it is today if you hadn’t invested your time, your love, your care and your example to us. We love you dearly! 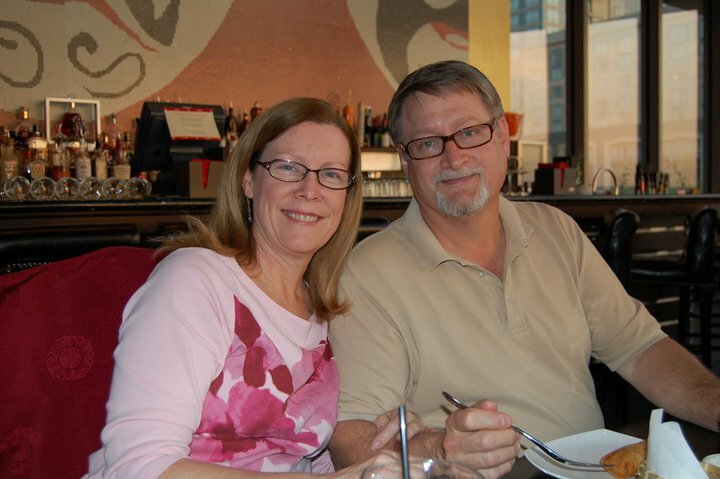 Paul & Lori Byerly – Better known as The Generous Husband and The Generous Wife. We can honestly say that although we have only known this couple for the past two years via the blogging world, they have been used by God to encourage us and strengthen our resolve to continue TRV. We jokingly call them the Grandparents of the marriage blog world because they make time to come alongside those who are new to help them get the word out about the importance of cultivating godly marriages for God’s glory. We enjoyed meeting them in September and being able to thank them in person for the investment they’ve made in us. They are the real deal, and genuinely love God and the mission He’s given them to strengthen marriages. 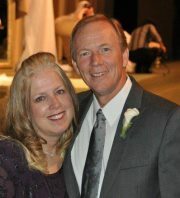 Thank you, Paul and Lori, for being available, helpful, unselfish and most of all lovers of God. Our lives have been greatly influenced by you both. And thank you for naming us one of 2010’s Hot Marriage Blogs. Stu and Lisa Gray – Although we’ve yet to meet in person, this couple loves life, loves each other, loves God and loves telling anyone who will listen about what God has done for them and their marriage. They started the Top Ten Marriage Blog Awards in 2009 when we first discovered Stu’s blog, The Marry Blogger. (Although now it is called The Stupendous Marriage Show). Stu always commented back whenever we commented on his posts. 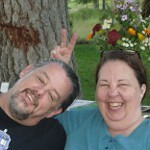 We became friends on FB, and in 2010 we were given the honor of being named a Top Ten Marriage Blog. He also allowed us to do a guest post this past year, which was quite a privilege to do. Thank you, Stu and Lisa. You have felt like a brother to me (Debi) in many ways, and how ironic that we share the same name – my maiden name is Gray. May God continue to bless your marriage as you have blessed our marriage as well as our blog. Affaircare Blog – Although we haven’t known Cindy of the Affaircare Blog quite as long, we value what she is doing consistently for the good of all marriages. 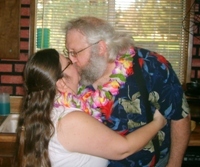 She recently awarded Affaircare’s Hot Marriage Sites Award to us, which was a huge surprise and tremendous honor. With so many marriages being devastated by an affair, her blog is a great deterrent for those who may not realize the warning signs. We pray your message will continue to reach couples before they enter into an adulterous relationship which will devastate their marriage and family. 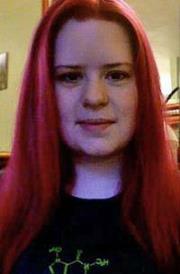 Bonnie Anderson – You may know Bonnie from the Ship Bound For Tarshish blog. She is not only a dear friend, but she is in the same Writer’s Group as me, and has been for years. She is also a neighbor, so our lives connect on a daily basis. Words cannot express the encouragement she has been to me personally, as well as how God has used both her and Bob to encourage both Tom and me. We thank God for them and don’t know where we would be today without their influence in our lives. She is also my laughing friend. She is the same as her writing depicts – so laughter abounds whenever she’s around – “No more rhyming and I mean it!” See? She helps me see the humor in life and what a gift that is in this day and age. I also must mention she is one of our top commenters on TRV. For those of you who blog, you know how encouraging it is to get those comments. Thanks Bonnie for your friendship and your love. Rob Swanson – Oh my. I don’t know where to begin to share with you the influence Rob has had on my writing life. We began our Writer’s Group probably close to 8 years ago and started a blog to unite us when we weren’t meeting 5 years ago. On our first blog post he wrote, “Our intent is to Encourage, Inspire, Motivate, Inform, and Generally Bless one another in our writing endeavors.” I can honestly say Rob has lived up to and exceeded his goals, at least in my life. He urged me on when I wanted to quit. 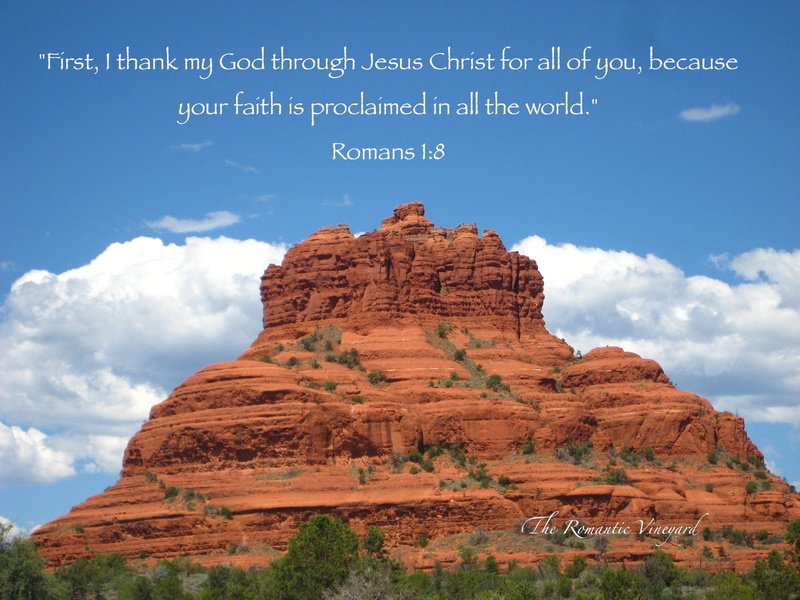 He was used by God to challenge me when I needed to hear it most. And he continues to believe I can do more than I think I am capable of doing. He has invested countless hours of teaching and encouragement to our group, and it is an honor to tag him with this post. He has a blog called Swanstuff, where he posts random thoughts, which are usually quite thought-provoking. But what I want to highlight the most is his recent book release. It’s titled, Do Angels Still Fall? and is well worth the read. So, Rob, thank you for leading me in my writing all these years. I pray God will bless you abundantly for the way you have blessed me. Michelle Shaeffer – You may recognize her as the co-founder of The Ultimate Blog Challenge. But she also has her own blog you can visit for ideas and help. We did our first challenge in July of this year, and just completed our second one in October. Michelle, thank you for creating such a wonderful environment for bloggers to connect on FaceBook. We have seen TRV grow considerably as a result of both challenges. Not only is the UBC a great service, but you stay actively involved in the challenge as well by encouraging us to keep going. You provide great writing prompts for when we’re feeling empty and your consistent example has had a profound effect on us. Thank you for your diligence. Thank you for your encouragement. And thank you for sacrificing your time to help us in countless ways. May God richly bless you and yours this Thanksgiving season! Paul David Tripp – Finally, we owe a huge debt of thanksgiving for this man’s influence in our lives personally, in our parenting and in our marriage. The wisdom he has learned after a lifetime of Biblical counseling is a gift to us and to the church at large. If you are a regular reader of our blog, you will know how much we admire this man. Mr. Tripp, thank you for your faithfulness to write encouraging books that are not only easy to read and understand, but full of faith to actually do what it says. Your writing has fueled our passion for marriages to grow for the glory of God. May the Lord return to you richly all the blessings your ministry has had on us. We thank God for you! This entry was posted in Blog Love, Purpose, resources, Testimonies, The Gospel & Marriage and tagged Two. Bookmark the permalink. 6 Responses to Tag You’re I.T. I will try to write something about your blog or even address it on facebook, would love to encourage readers to check you out. thank you for the nice compliments, it was a surprise. Have a great day, Sharon! 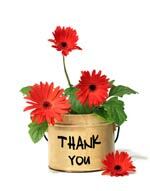 And thanks for sharing today’s post with your FB friends. I would love for them to hear how you’ve encouraged us! Today I am tweeting my thankfulness for all those who have prayed for our marriage over the years. I don’t know all of them, or how much some of them prayed, but we have certainly felt them. 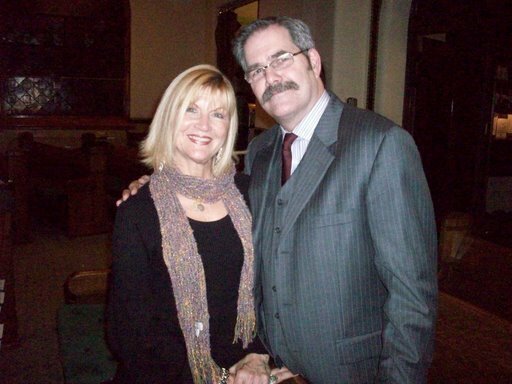 Please know that Lori and I pray for you, your marriage, and your wonderful minstry. We have felt your prayers and encouragement and help in the short time we’ve known you. Thank you!